We are producers of soles for technical footwear. This portfolio of ideas showcases what we can achieve. 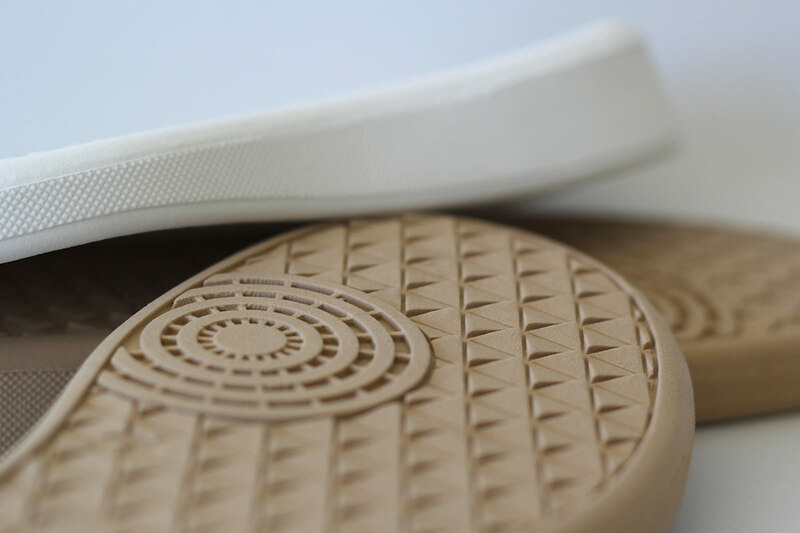 Our technical development of materials and design of the product itself, taking the sole’s function into account, supplements our production activities. a sole detail can make the difference. 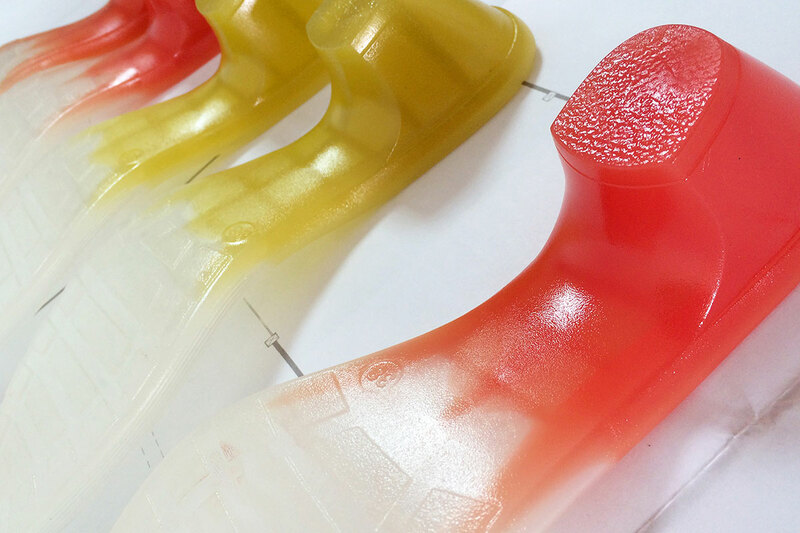 This double density outsole consists of foamed polyurethane and elastic thermoplastic polyurethane. 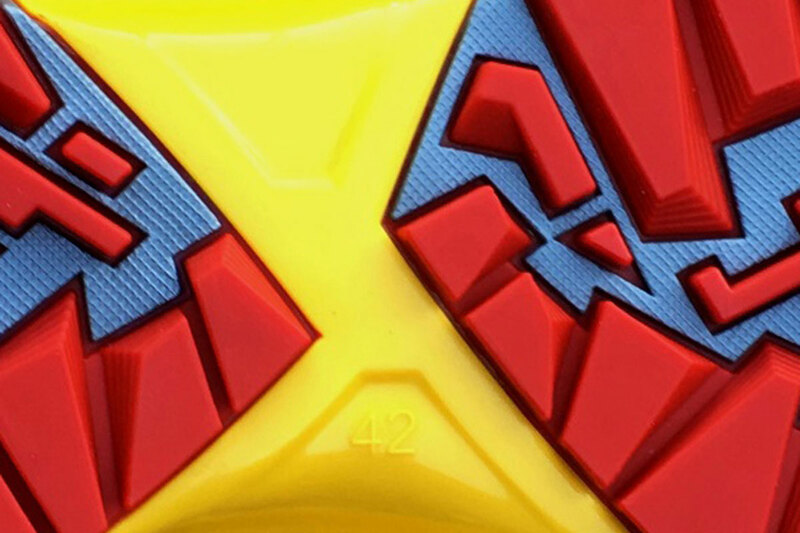 The outsole is wear resistant and the mid-layer is of shock absorbing material. The clear bottom, while maintain excellent mechanical properties, allows for aesthetic decoration of the outsole bottom. Our proprietary rubber formulation ensures both Grip and Durability. 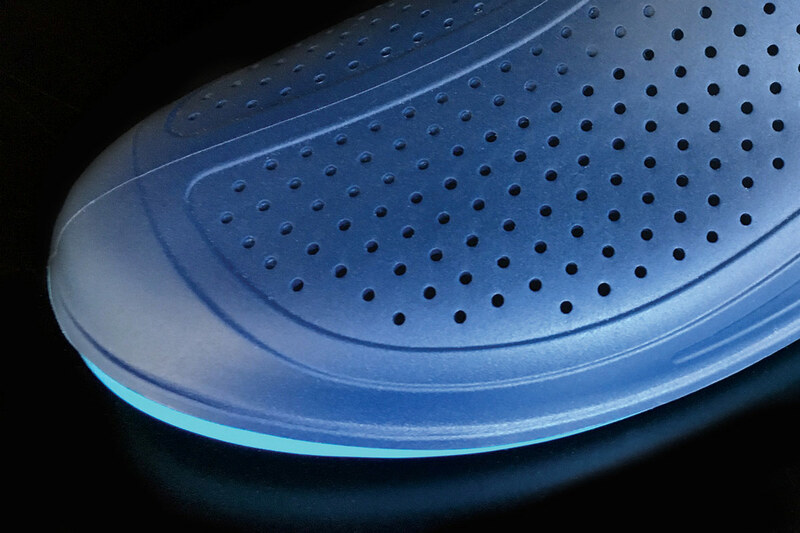 It improves performance to any shoe outsole, while ensuring traction over specific floor beds. The wear is maintained within acceptable values. Our direct 3 c colour TPU Injections machines with 200 tons of clamping power gives our customers the freedom to create any design they wish. No Limits! 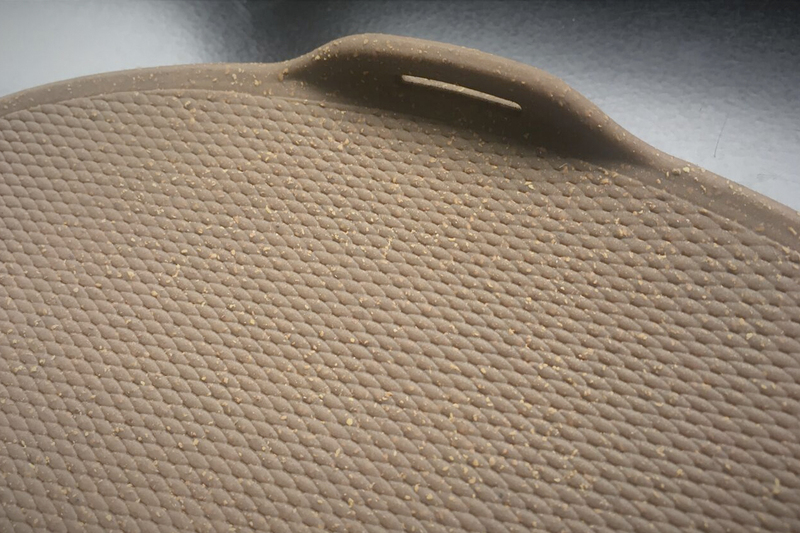 Specially developed Thermoplastic materials allow us full freedom of creation, while maintaining a superior grip and comfort even in water soaked surfaces. 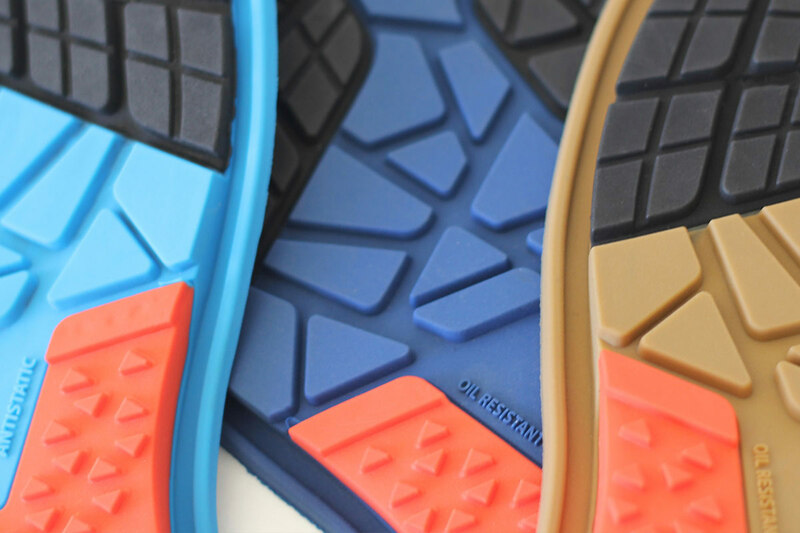 Expanded TPU outsoles can give a substantial contribution to the overall comfort of the final shoe, through their combination of weight, flexibility and cushioned support. The microcellular structure acts as an insulation layer helping to maintain a more constant temperature underneath your foot. 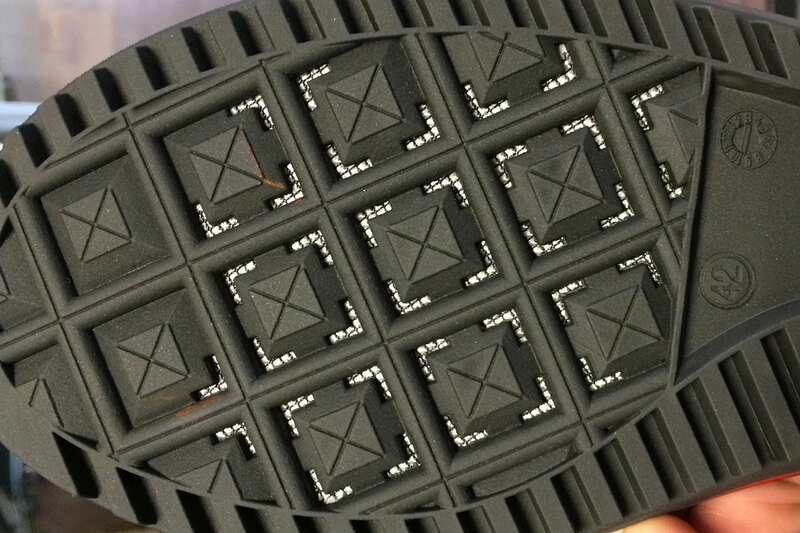 Densities of 0.55 g/cc can be achieved while maintaining an abrasion below 150 mm3 Abrasion resistance is similar to traditional rubbers, yet an expanded TPU sole can weigh up to 50% less. 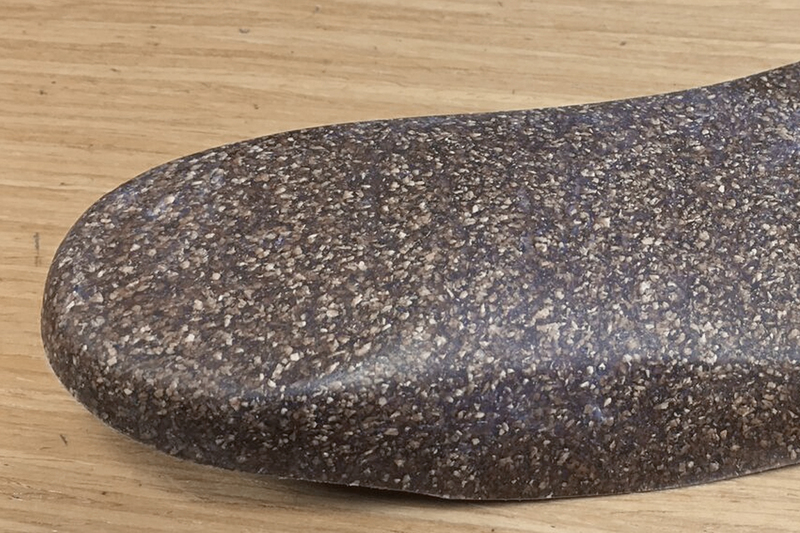 Combines low weight, sustainability and feel of cork. 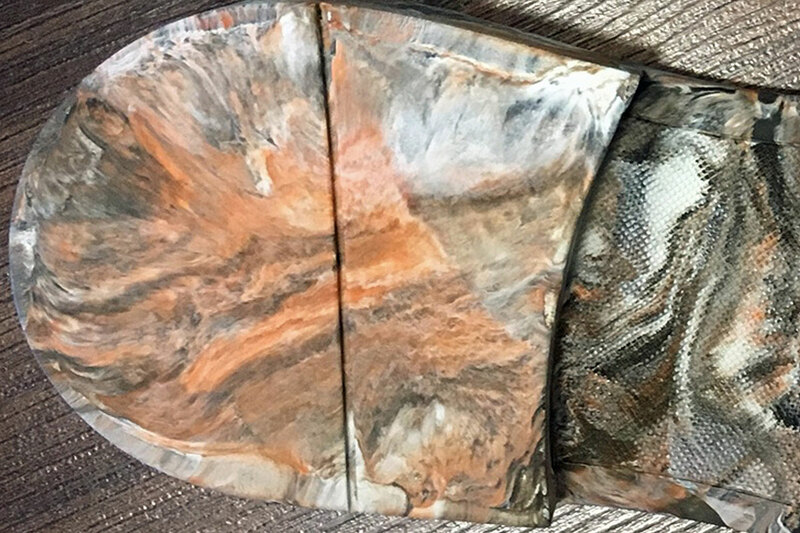 We combine natural cork with thermoplastic raw materials. Cork is a natural product which comes from the bark of the cork oak tree. Cork itself has a cell-like structure which is light (densities (as low as 0.45 g/ccm) and highly compressible. 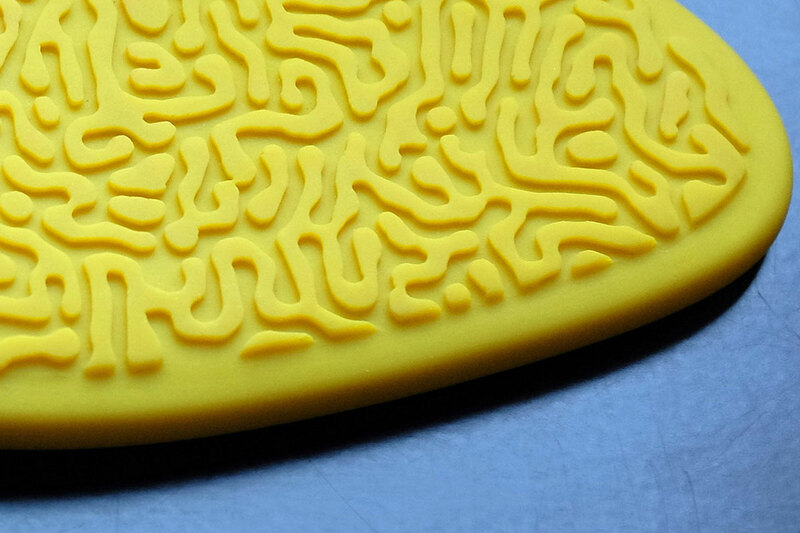 Its comfortable feel and non-slip texture make it a good choice for different applications. You also get a damping effect for orthopedic shoe lifts. 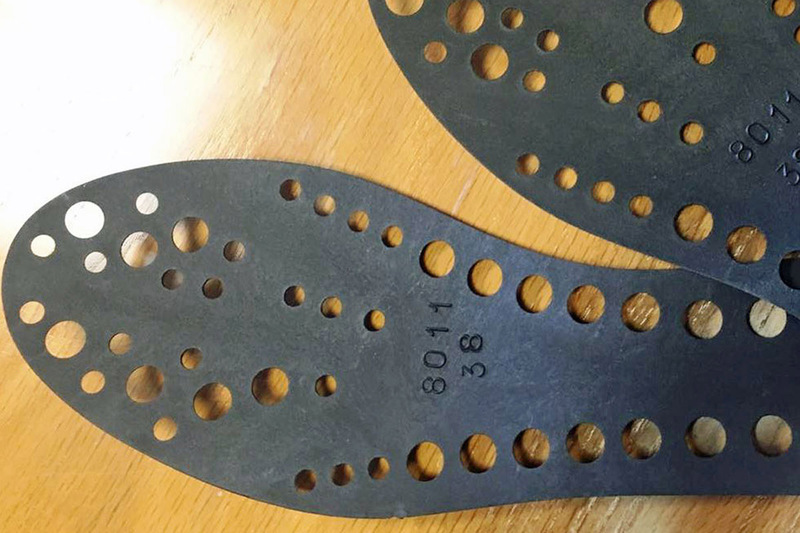 This outsole rubber formulation and profile has been conceived to guarantee optimal grip on boat decks, for both wet and dry surfaces, by creating excellent traction. The fine tread also squeegees water away without picking up grit that might scratch the deck. 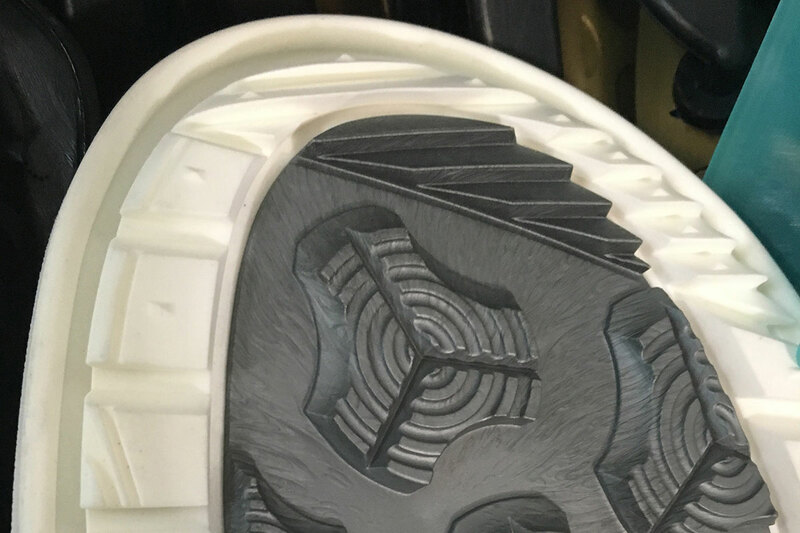 The inner core of this outsole was developed to reduce the weight of the outsole while maintaining its structural stiffness at pressure zones. 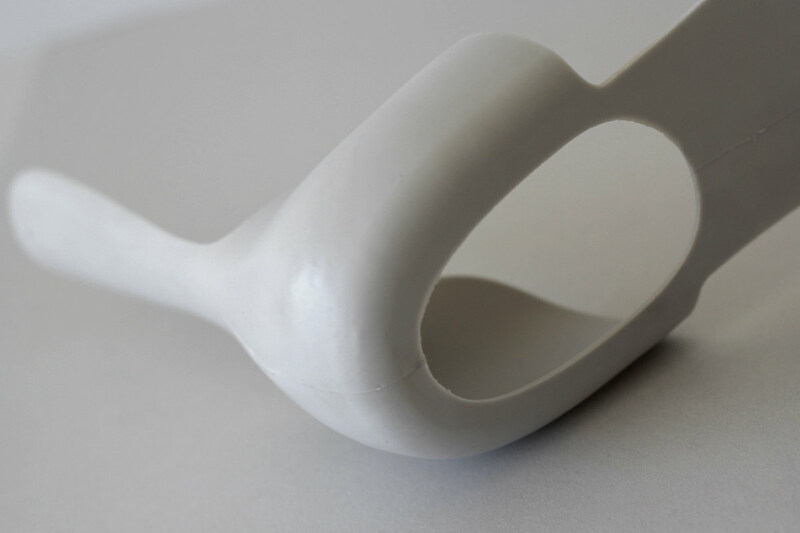 This technique was implemented to achieve structural stiffness in the rear of the outsole for maintaining postural stability, while maintaining flexibility and softness in the front, to enhance comfort. 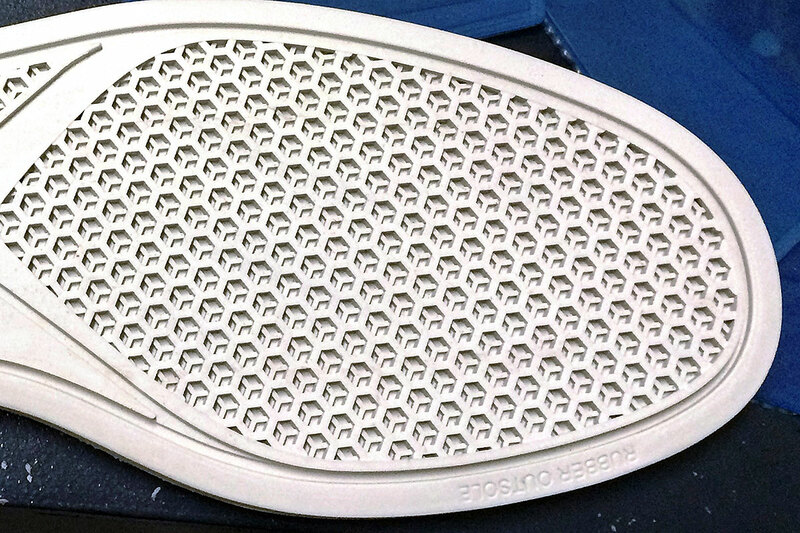 We have developed a technique that allows us to do this in existing monocolour moulds. The ideal solution for outdoor activities in moderate and warmer conditions where the foot could become very moist. 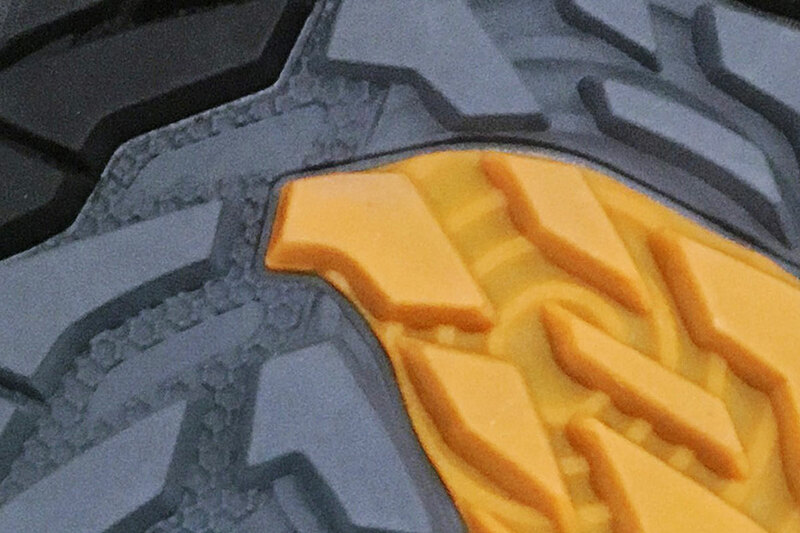 It involves TPU injection over a flexible, breathable and waterproof membrane that will keep the foot drier in worn. 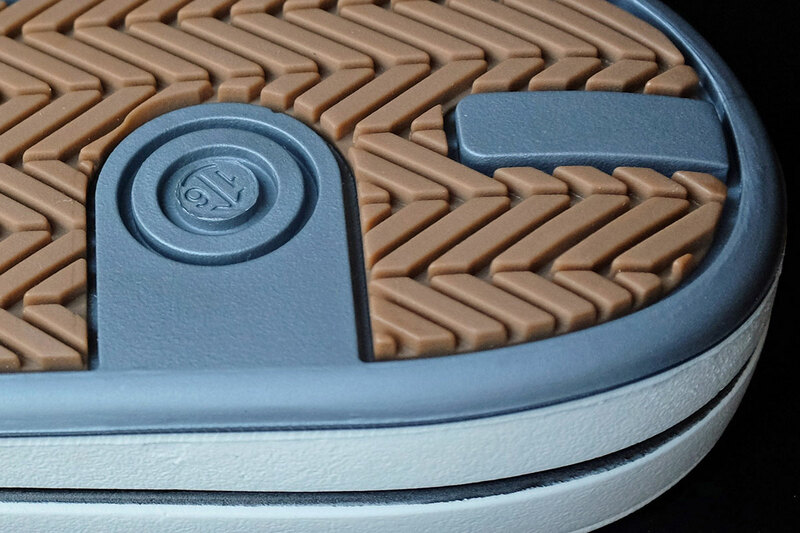 Rubber formulations containing a high percentage of natural rubber provide the outsole with excellent shock absorption flexibility and give the shoe a dry grip. 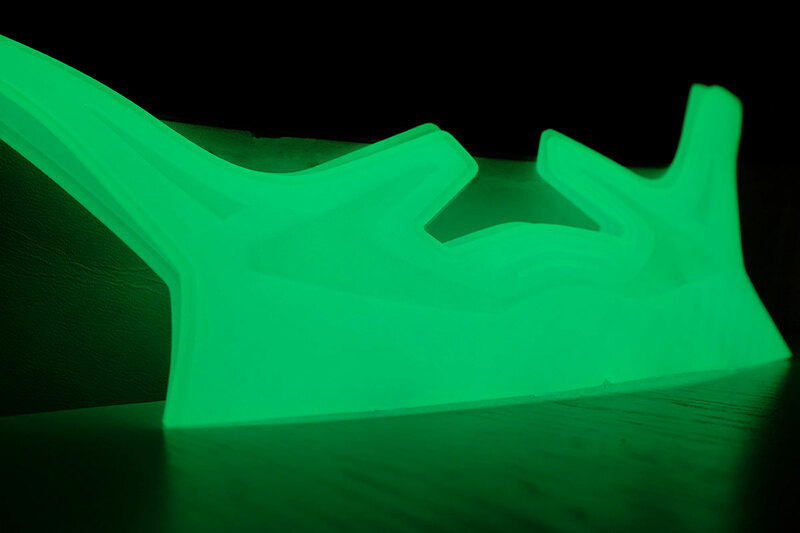 We use glow-in-the-dark pigments where safety factors and design quality are important elements of the product. The pigments we use are drastically different from conventional phosphorescent ones because they glow practically all night long without the aid of any radioactive substance. Proper foot protection made simple: METATARSAL EXO Hard SHANK. The combination of soft high grip TPU outsole materials with this Metatarsal Exo Hard Shank provides optimal foot protection while allowing workers to walk and bend naturally – due to greater forefoot flexibility and control. Our R&D team and Lab work closely with our customers to co-develop the best material formulation to meet their desired performance targets. 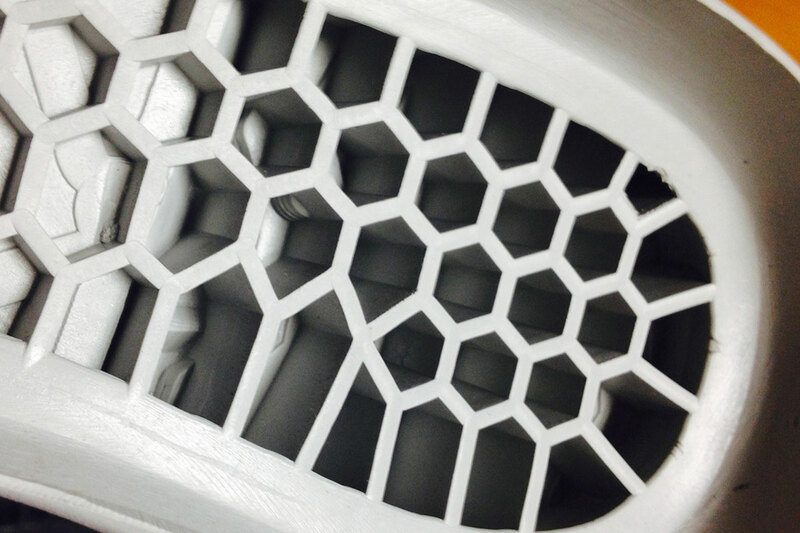 This double density sole consists of foamed polyurethane and elastic thermoplastic polyurethane. The outsole is wear resistant and the mid-layer is of shock absorbing material. Our IR&D team were able to meet our customer requirements to develop a formulation to meet all the relevant standards.